Poly Science Engineering Group is a leader in providing both chemical and environmental engineering services. With over 30 years in business, primarily in Ohio, Pennsyvania, Indiana and West Virginia, our experience and insight will help you with your specific chemical or environmental engineering problem. We have the skills, experience and willingness to handle projects large or small. It all begins with a chemical engineering needs analysis. We work together with our clients to identify what it is exactly that they want to accomplish. Then we offer solutions to meet those goals. We will then design an engineering strategy to suit your needs. Our strategic insight into those needs will help to ensure the implementation and completion of a successful, customized solution. Design, installation and start-up of a wide range of chemical process unit operations and equipment. Chemical engineering calculations in support of environmental permits and applications. Process optimization studies for existing production systems or plant wide studies. Creation of Process and Instrument Drawings (P&IDs) and Process Flow Diagrams (PFDs). Assist with selection of equipment for technical merit, efficiency, ease of operation and low maintenance. Process evaluation to identify changes to increase quality, capacity or efficiency. For more information on our Chemical Engineering services, contact us today. 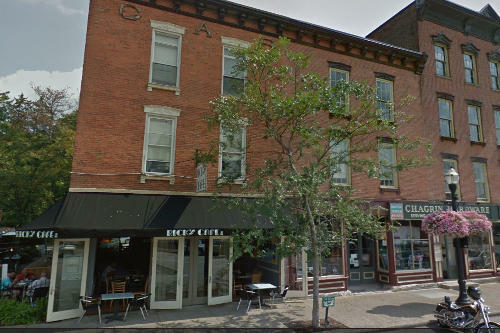 Offices located in beautiful Chagrin Falls, Ohio .. just upstairs of historic Rick's Cafe. Address: 86 North Main St.